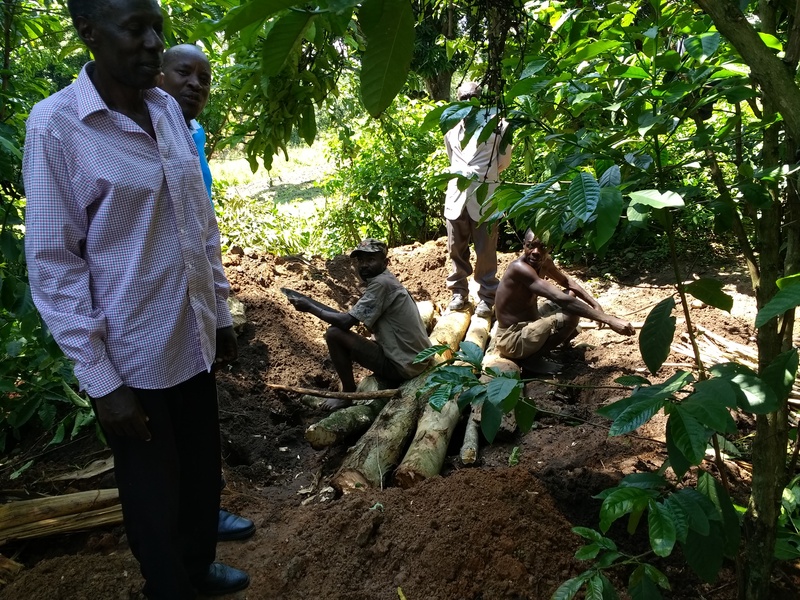 One of WATSAN’s UK trustees, Andrew Maclean, visited the project in the field from 13th to 17th September 2018, and was able to report back on progress of the Bwambara project in particular. 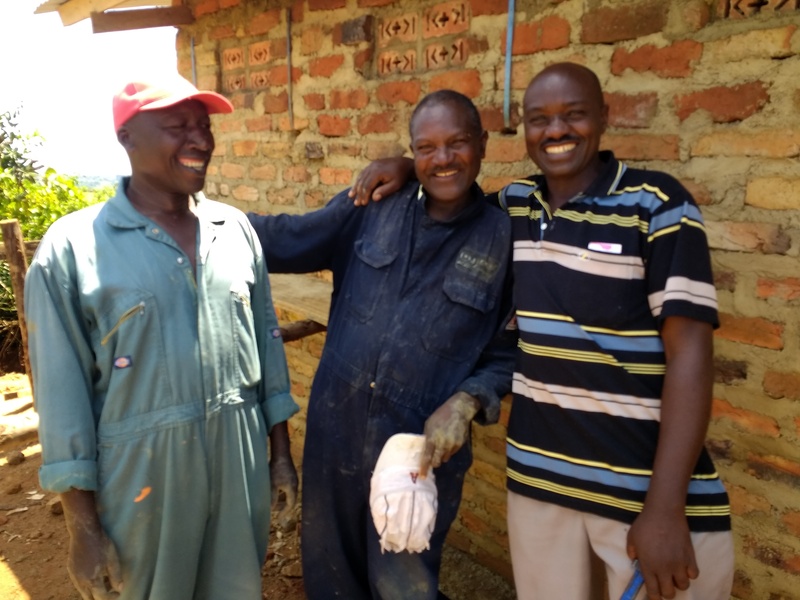 The staff team accompanied Andrew on several project visits, including some recently completed sustainability projects. One was Ndere Mini-Gravity Scheme, which was originally built as a low-yield spring, but extra eyes were found during construction, and as they were building it became evident that the community around the spring had other sources, including a protected low-yield spring for the primary school built 10 years ago. Meanwhile the community across the valley and further down rely on water collected from the river and pools, which are heavily polluted as there are no springs on that side of the valley. 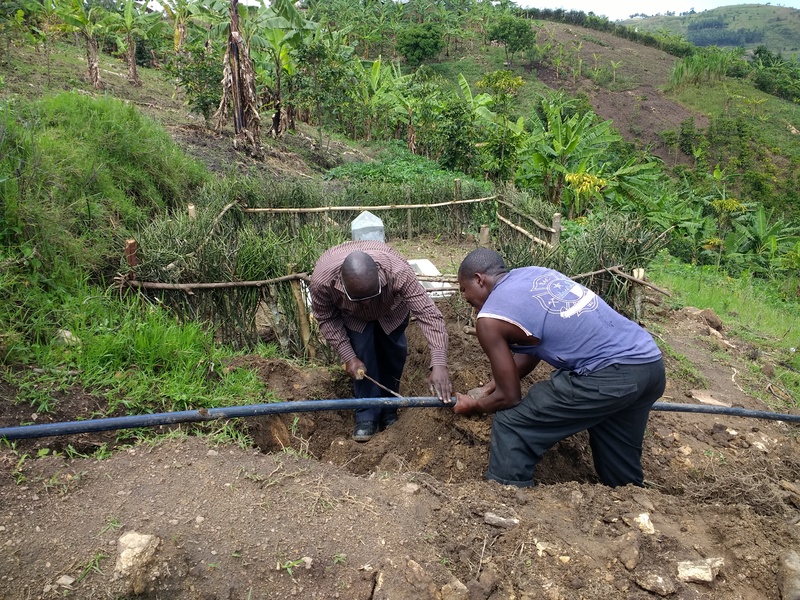 The WATSAN team have implemented a system allowing three eyes to feed a small sedimentation tank, which in turn feeds a 50mm pipe running about 400m to below the primary school, with branches to two other tapstands. On visiting Bwambara, Andrew comments: “Bwambara is deep into the rift valley nearly at the edge of the national park – about 1½ hours from Rukungiri but the road is much better than when I lived here! It is also much more densely settled, with many families moving in from the Kabale area. 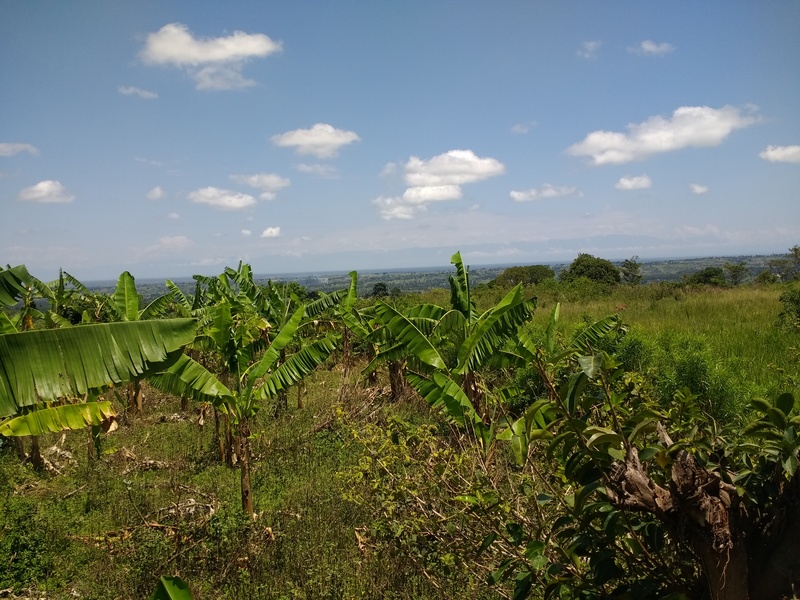 At Bwambara there is a small town, an arch-deaconry, a secondary school and two primary schools, all clustered around a low hill standing out from the plain. There is much less water than in the hills, and the groundwater deeper down is saline according to the locals, so boreholes are not an option. Building materials are also poor locally as the sand is also saline and there are no stones or good bricks nearby. The sandy soil also makes latrines difficult as it collapses so the pits have to be brick lined. “Three long-serving fundis [masons] are working on the scheme – Able, Sam and Godfrey [pictured above]. “The team have already got the community to cut back the bushes growing in the catchment area and re-dig the cut off drains. The main flow still comes through the pipe and it was great to see how well a spring can last and how the detailing has worked out. There was still a plastic-lined steel pipe (but this looks to be a replacement) and the splash stone has prevented erosion of the base. “We have just funded the construction of an adjacent low-yield spring. This is needed as the population is now more than triple what it was when the first spring was built. In the morning rush it means two people at a time can now get water. This spring has been finished very recently to a high standard and is working well. 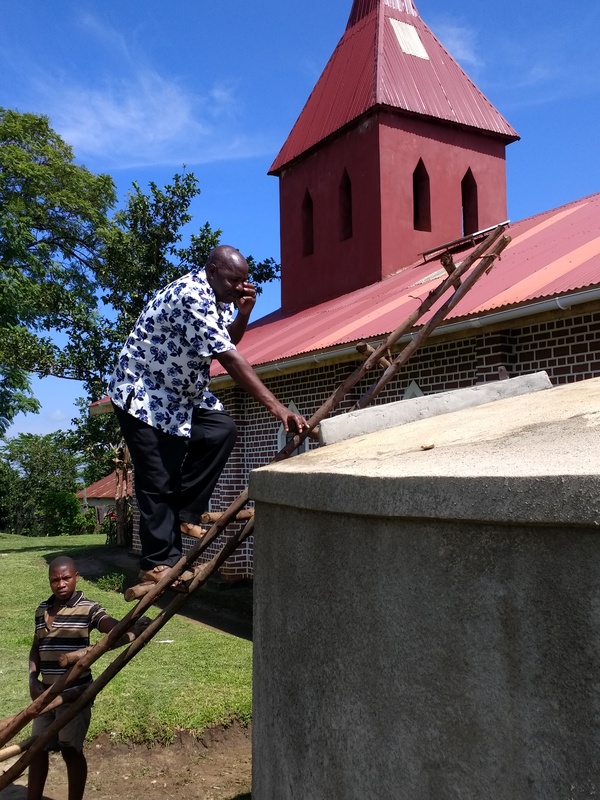 “I saw two rainwater tanks built by the team, one at the church with a remote tapstand near the archdeacon’s, and one at the primary school. 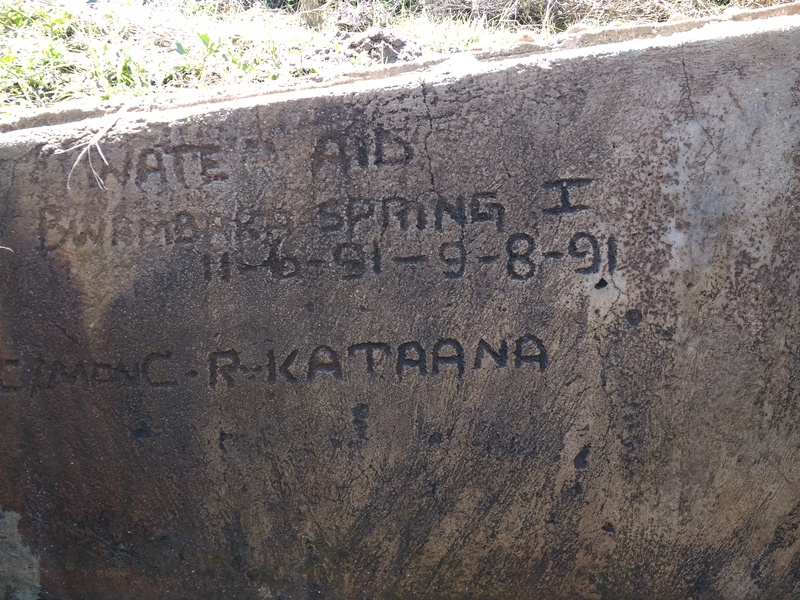 A third is to be built at the primary school near a poorly built and leaking old ferrocement tank built by others. Our tanks are good quality with nice guttering, even incorporating a first flush system. “Various latrine blocks are being constructed. They are expensive as the pits have to be brick lined, and the team has built in concrete ring beams with cross beams half way up to hold the sides. Provision for future emptying has been made. All the latrines have a similar design with multiple stands all with good doors.